And while it’s still relatively low in a longer-term historical sense, the Fed announcement made clear that at least two more hikes are coming this year. The stock market actually traded up following the announcement but then gave back its gains at the end of the trading day. Ultimately the Fed’s interest rates influence how much consumers will pay in the form of rates on loans, and credit cards — it will become more expensive to borrow at all levels. 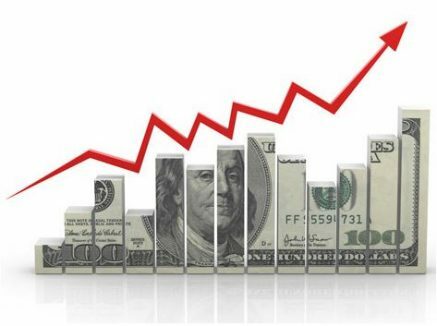 Nonetheless, interest rate increases intend to strengthen the economy, making everything denominated in dollars worth more compared to other currencies. And here you have the whole rationale for raising rates: it aims to slow down inflation in order to maintain the value of dollar. Although a certain amount of inflation helps the economy grow, if the pace accelerates then it cuts into the value of the currency. Recent measurements of inflation suggested exactly such an acceleration had begun around the beginning of the year, which economists attributed to tax reform effectively getting more cash into circulation as soon as the new law took effect. This was the first Fed meeting that was Jay Powell presided over as chairman. The rate increase was the sixth such move in the series of hikes that the Federal Open Market Committee embarked on since the end of 2015. Information received since the Federal Open Market Committee met in January indicates that the labor market has continued to strengthen and that economic activity has been rising at a moderate rate. Job gains have been strong in recent months, and the unemployment rate has stayed low. Recent data suggest that growth rates of household spending and business fixed investment have moderated from their strong fourth-quarter readings. On a 12-month basis, both overall inflation and inflation for items other than food and energy have continued to run below 2%. Market-based measures of inflation compensation have increased in recent months but remain low; survey-based measures of longer-term inflation expectations are little changed, on balance. Consistent with its statutory mandate, the Committee seeks to foster maximum employment and price stability. The economic outlook has strengthened in recent months. The Committee expects that, with further gradual adjustments in the stance of monetary policy, economic activity will expand at a moderate pace in the medium term and labor market conditions will remain strong. Inflation on a 12-month basis is expected to move up in coming months and to stabilize around the Committee’s 2% objective over the medium term. Near-term risks to the economic outlook appear roughly balanced, but the Committee is monitoring inflation developments closely. In view of realized and expected labor market conditions and inflation, the Committee decided to raise the target range for the federal funds rate to 1.75%. The stance of monetary policy remains accommodative, thereby supporting strong labor market conditions and a sustained return to 2% inflation. In determining the timing and size of future adjustments to the target range for the federal funds rate, the Committee will assess realized and expected economic conditions relative to its objectives of maximum employment and 2% inflation. This assessment will take into account a wide range of information, including measures of labor market conditions, indicators of inflation pressures and inflation expectations, and readings on financial and international developments. The Committee will carefully monitor actual and expected inflation developments relative to its symmetric inflation goal. The Committee expects that economic conditions will evolve in a manner that will warrant further gradual increases in the federal funds rate; the federal funds rate is likely to remain, for some time, below levels that are expected to prevail in the longer run. However, the actual path of the federal funds rate will depend on the economic outlook as informed by incoming data.